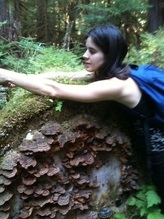 Alex is an herbalist and botanist who has been working with the green ones in the Pacific Northwest for over a decade. He started his journey with the medicinal plants of the Northwest while living on the slopes of Mt. Rainier and has been in it ever since. A mostly self taught herbalist, his formal training includes studying the magic of the plant spirits with Joyce Netishen in McCleary, Washington, and an herbal apprenticeship with Kathi Keville in Nevada City, California. Alex is a grower who has delved deep into the propagation of native plants and is a farmer who has grown herbs for a small business. His love of concocting the potions of herbalism combined with his training in biodynamic agriculture has led him on a path of making medicines in a way that is deeply connected to the rhythms of the Earth and Cosmos. 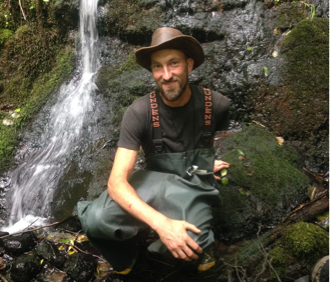 Also a trained botanist, he does work in the environmental restoration field, conducts plant surveys, and supplies willow cuttings for salmon habitat projects all over the Northwest. Alex is on a continuing mission to develop his skills as a clinical herbalist and has recently started working with clients to bring the healing powers of plants and fungi to the people. He currently lives where he was born, in Portland, Oregon. 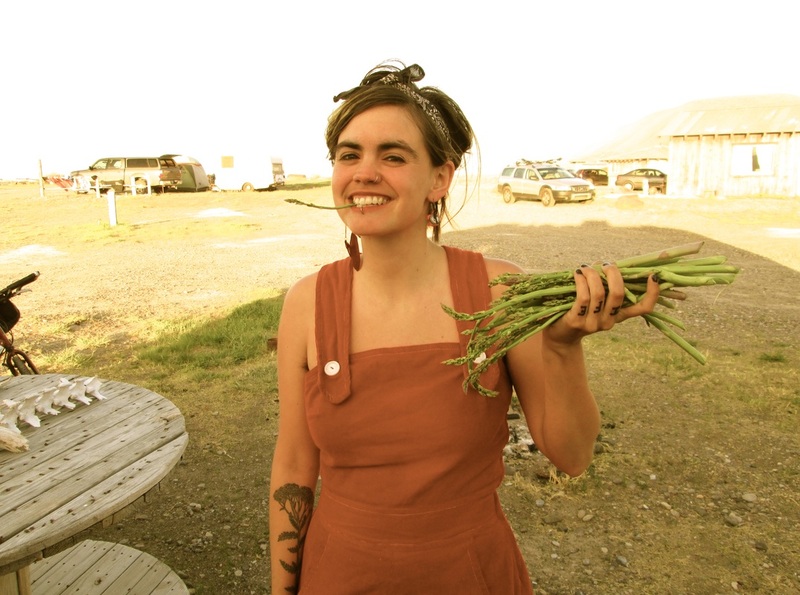 Bonnie Rose Weaver is an urban farmer and herbalist from San Francisco, CA. Since Fall 2012, she has cultivated 1/16th of an acre in the city’s Mission District, an urban herbal project called 1849 Medicine Garden. 1849 runs a hyper­local Community Supported Agriculture Program, offers herbal classes and seasonal ceremonies in the depths of the Tech Mecca. www.1849medicinegarden.com, @1849medicinegarden. ROSEROOT HERBES is a collective of three farmers/herbalists who cultivate medicinal + culinary herbs at the ROSEROOT HERB FARM­­ our small­scale medicine farm in NE Olympia, Washington. Together, we grow, wildcraft & formulate botanical medicine. Our approach to herbalism values skill­share + self­education + DIY herbcraft. We seek to create a model of seasonal, regional plant medicine that promotes holistic health. Chelsea is a herbalist and horticulturist calling home to Nanaimo, BC. 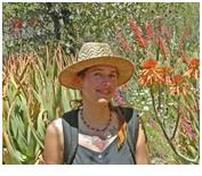 She is passionate about plants and our native ecology here on the coast. She travels regularly, learning as she goes about the world around her. She has studied in various places including: Saltspring Island with Saci Spindler, Portland at the School of Traditional Western Herbalism, and locally in Duncan at the Cowichan tribe with Sheila Wray. Not to mention a Red Seal Trade in Landscape Horticulture. If she's not in her garden you will find her climbing rocks, playing in the river, salsa dancing or beneath a book somewhere warm and cozy. Corinne is a folk herbalist and a plant folklorist with a passion for teaching, writing, medicine making, history and folk magic. She has been studying plant medicine since 1999. Her education includes a Bachelor of Science degree in biomedical science with an emphasis on plant chemistry. Shooting Star Botanicals is a wellness practice dedicated to healing, personal transformation, and social change. Erin is a wildcrafter and medicine maker living in the beautiful Tarboo Valley. She first started exploring herbal medicine through her relationship with native plants. She then became a medicine maker and lab manager at Heron Botanicals. Recently she has gone back to her wildcrafting roots and has been focusing on her business Tarboo Wildcrafting and on experimenting with different kinds of herbal preparations at home. Heron Brae is a northwest­born botanist, folk herbalist, and rewilding­wildcrafter. She teaches enthusiastically at the Columbines School of Botanical Studies in Eugene, and various regional community skill­shares. Since 1997, she has studied the magic, art, and science of wild plants and landscapes, and continues to learn how to live with this land in a way that makes sense by studying seasonally migratory life ways grounded in place. She lives in the woods near Ashland, Oregon, and spends her time working towards radically changing her worldview into one of interdependence. She is pleased to return to Evergreen for this conference, where she graduated with a degree in botany and ecology. For fun, Heron loves to geek out on Latin binomials, organize community rewilding events, explore in the mountains, and try new things. Howie is an owner and primary instructor of The Columbines School of Botanical Studies. 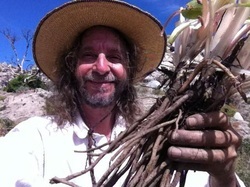 He has taught botany, herbalism, and wildcrafting extensively for decades, including such herbal establishments as the Southwest School of Botanical Medicine. Howie has a clinical practice in Eugene, Oregon. Jasmyn has been a herbalist and Flower Essence Practitioner for nineteen years. She specializes in herbs for chronic disease and wilderness herbal first aid, as well as herbs for mental health and harm reduction. She is the co­founder of a bustling holistic health centre which delivers free/affordable access to a wide range of health modalities. Her favorite creation at the clinic its massive herbal apothecary, offering up medicine to a growing community of underserved clients in Vancouver, B.C. In contrast to her clinical work, Jasmyn gets out of the stuffy office to grow and sustainably wildcrafts herbs. She then formulates these plants into extracts for Sandhill Botanicals, the medicine business she shares with her partner. She is director of the Wild Seed School of Herbal Studies on Salt Spring Island, B.C., where she lives. Jasmyn is a practicing witch, and loves to combine herbs with magic. She delights in animals, and her favourite part of wildcrafting is geeking out about migrating birds visiting the same plant communities she goes to, year after year. Her favourite teachers include Michael Moore, Adam Seller, her clients, and the plants themselves. And her dog. Jean is a clinical herbalist in Olympia, Washington. She loves fostering connections between plants and people and focuses on personal empowerment and individualized care. She is passionate about supporting recovery from stress and trauma, emotional and mental well‐being, and pregnancy, postpartum, and pregnancy loss. Her training has included apprenticeship and studies with Corrine Boyer, Phyllis D. Light, and CoreyPine Shane, as well as a host of eclectic influences and teachers across the west coast and southern states. She is forever in gratitude to the plants, her first teachers, as well as the clients whom she has been honored to support. Her background is in southern folk medicine, clinical western herbalism, nutrition, energetic medicine, Somatic Experiencing Therapy, harm reduction and plant magic. She was a founding member of the Olympia Free Herbal Clinic in 2008 and has been honored to work as an herbalist and organizer with the Dandelion Seed Community Health Project in the seven years since. I am the owner and caretaker of Fire Rose Farm, a small abundant, beautiful and inspired herb farm where wondrous and magical things happen. I am a healer in a busy private practice for almost thirty years working with the plants, the spirits, and the Elements of Nature to bring insight, beauty, and healing to people... and to the world. I'm a keeper of the Sacred Fire, a lover of roses, and have completed two twelve year apprenticeships with the late Guadalupe Gonzales Rios, a Huichol Shaman and Elder of Mexico. I'm a dedicated medicine maker and offer an exquisite line of Fire Rose Farm Flower Essences and other handmade herbcraft and magnificent rustic soap. I teach classes and apprenticeships about the spirit of plants and other powerful and profound forms of invisible medicine. Hey Kumar Hey... Long live the magical purpose. Lydia is an an educator, psychiatric mental health nurse practitioner, herbalist, writer, and organizer. Currently working on her doctorate at Oregon Health Science University. She lives in Portland, Oregon with too many animals and often obsesses about privilege, oppression and the prison industrial complex. Marja is a Finnish Keralian woman with Indigenous Sami roots; Eloheimo means Clan of the Harvest. 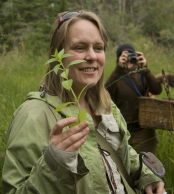 Marja’s Ph.D. is in Environmental and Anthropology (emphasis Ethnobotany) from the University of Washington, Seattle. She has worked with First Nations People of the Pacific Northwest and among Tribal People in Odisha, India. 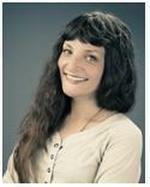 Her doctoral dissertation is titled, “Community‐Based Herbalism and Relational Approaches to Harm Reduction in Healthcare.” Marja’s M.A. is in Arts and Psychology from Antioch University, San Francisco. Marja has taught at The Evergreen State College for over twenty years where she established the Longhouse Ethnobotanical Garden. She is currently working to bring the garden to fruition as a relational student learning resource and a broader resource for local herbal, educational, and Indigenous communities. Marja is also the mother of two Indian daughters, and a licensed Zumba instructor. Maryann works as a clinical herbalist at the BC Compassion Club Society's (BCCCS) Wellness Centre located in Vancouver, Unceded Coast Salish Territories. She feels honoured to work at a clinic where herbalism is available to folks who would not otherwise be able to financially access herbs. Her teachers include Dominion Herbal College (clinical program), Netta Zeberoff, Michael Moore, and her grandma. Maryann is also a wildcrafter, community educator and organizer, and anti‐mining activist. Meg Cur is a wildcrafter, medicine maker, and homesteader. She has been devoted to Pacific Northwest plants and their medicines for ten years, studying Ethnobotany and Environmental Studies in a university setting and herbal medicine at the School of Traditional Western Herbalism. She is deeply excited to help revive a folk culture of knowledge of, and respect and appreciation for plants. She is a settler on unceded territories on a vibrant island, where she cultivates and harvests herbs, and strives to make plant medicines accessible to her community and beyond. 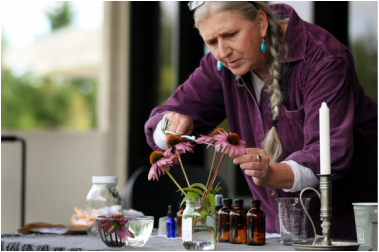 Mimi Kamp has been playing/working with plants in the Southwest and Sonora for over 40 years (following 7 years in the northwest) ‐ as artist, botanist, wild‐crafter/medicine‐maker/herbalist, teacher, gardener, and flower essence maker/researcher/practitioner. She emphasizes habitat and regionally sustainable plant medicine. She encourages individual inquiry into plant energies, their healing influences and applications in trauma, as well as in personal awareness/growth. She is a desert‐loving rat occasionally dreaming of thuja forests and dark streams in the eastern woodland. 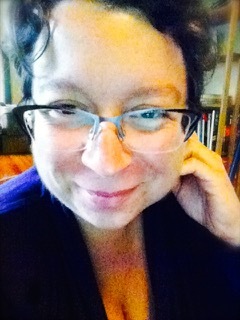 Orna Izakson is a writer, gardener, herbalist and naturopathic physician in Portland, Oregon. She runs a solo naturopathic practice in Northeast Portland, is Lead Physician of the Traditional Roots Institute at National College of Natural Medicine and recently joined the board of advisors of the Herbal Anthropology Project. Orna is an award‐winning environmental journalist who worked as both a staff reporter and freelance correspondent for newspapers, magazines and online media. Her love for wild places brought her to the plants, for whom she now endeavors to speak. 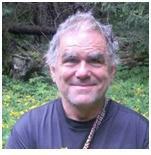 Paul has studied and practiced natural medicine, medical herbalism, clinical nutrition and nature cure since 1973. He is director of the North American Institute of Medical Herbalism in Portland, OR where he offers seminar training in clinical skills, medical herbalism, nutrition and nature cure. He supervised a teaching clinic in medical herbalism and clinical nutrition in Boulder, CO from 1996 until 2013 and has published and edited the Medical Herbalism journal since 1989. He has authored seven books on medical herbalism, clinical nutrition, ethnobotany and naturopathic medicine. Renee is a community herbalist at the Olympia Free Herbal Clinic and an Associate Scholar with the Center for World Indigenous Studies, focused on ethnobotany and medical anthropology. Her recent graduate thesis explored the role of cultural plants education in healing generational trauma in Salish tribal communities. She has degrees in environmental anthropology and Whole Systems Design and is currently working with an innovative mycology company in the Northwest. Her blog, Gold Roots & Threads, can be found at www.goldrootherbs.com. As a Native American woman (Coastal Salish/Cowlitz) and International Midwife, Rhonda has always been drawn to traditional plants, foods, and medicines as the sustainable, truthful medicines of every community. Here at home, she is thankful for her teachers; which include tribal elders, the Center for World Indigenous Studies and the Northwest Indian College. And though she feels strongly connected to both her ancestral roots and a sense of community, she confesses an insatiable desire for world travel. She feels that the combination of her own cultural identity and pride, along with her training in midwifery, anthropology and global health‐ has all led her on a path towards supporting the work of programs that empower Indigenous Midwives as they serve their own communities. Follow her on Facebook at ‘Wild Rose Midwifery’ or she can be reached at wildrosemidwifery@gmail. Sam is a western and energetic clinical herbalist, and a complete plant nerd. She has been studying and working with medicinal plants for twelve years and practicing for the past four. She studied with Christa Sinadinos at the Northwest School of Botanical Studies and continues to study with Karyn Sanders and Sarah Holmes at the Blue Otter School of Energetic Herbalism. During her time in Portland, she was a member of the Rosehip Street Medic Collective doing health justice activism and community health education. She works with strong commitment to service and radical nonjudgemental care and values supporting communities of resistance as well as individuals seeking physical, emotional and spiritual balance. As a witch, Sam draws from her connection with the natural world and mystery in her healing practice and political work. In her private practice, she supports her clients to explore what is at the root of their health issues and to step into their power through the healing process. Sam currently has a clinical practice in Grants Pass, Oregon and can be reached at wolfstarherbs@gmail.com. Sarah's work focuses on the interconnectedness of mind, body and spirit as well as the dynamic interchange between people and plants. She enjoys working with clients and students to open them to these concepts on both obvious and subtle levels. Sarah also runs, in partnership with Karyn Sanders, the Blue Otter School of Herbal Medicine and a weekly radio program on KPFA, The Herbal Highway. 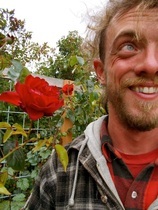 Sean is a wildcrafter, medicine maker, and gardener who has been working with the plants of the Pacific Northwest for a decade. He is a co­founder of Understory Apothecary which produces small batch tinctures of local herbs, and is also involved in Cascadia Terroir which produces essential oils from native plants. He is a graduate of The Evergreen State College with a BA/BS where he focused on Ethnobotany and Organic Chemistry. He has studied wildcrafting and plant spirit medicine with the School of Forest Medicine and studied under Sean Donahue. Sean can be found vending at the Olympia Farmer's Market, is the medicine maker for the Olympia Free Herbal Clinic, and runs the Hawthorn School of Plant Medicine. You can learn more about Sean’s products and teaching schedule at www.understoryapothecary.com. Sean teaches western herbal energetics and phytochemistry at Pacific Rim College on unceded Lekwungen territory in Victoria, BC. He is an initiated priest and holder of the Green Wand in the BlackHeart line of the Anderson Feri Tradition. He is dedicated to the re­enchantment of herbalism and the re­integration of medicine and magic in the service of personal, community, cultural, and ecological healing. Tania began her healthcare work studying herbal medicine (with Michael Moore and Karyn Sanders, among others) and volunteering as a community health worker at the Berkeley Free Clinic. She went on to become a naturopathic doctor and worked in Nicaragua with Natural Doctors International. She is on the clinical faculty of the Colorado School of Clinical Herbalism and the School of Traditional Western Herbalism. She lives in Portland, Oregon where she works at Virginia Garcia Memorial Health Center where she works primarily with migrant, Spanish­ speaking, and low income patients. Check our archives for last year's presenters and bios.